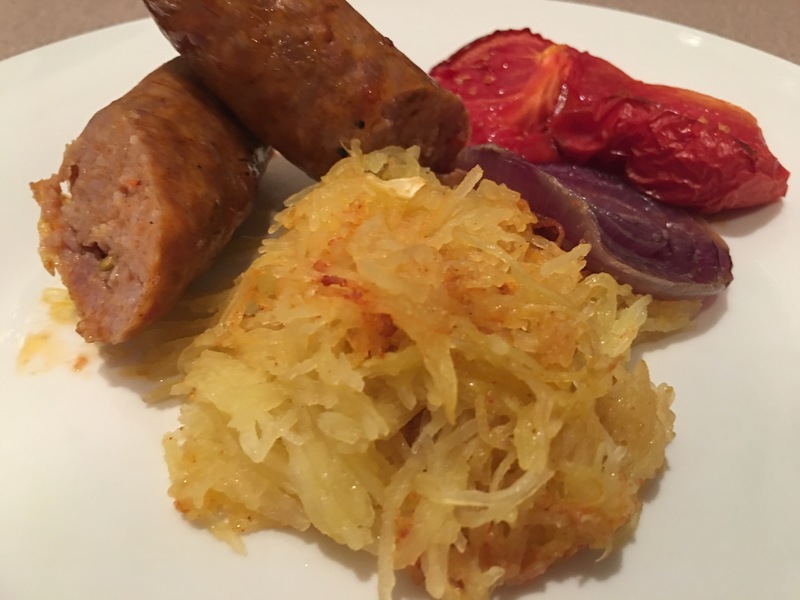 Hot Italian sausage with spaghetti squash – Hurried Home Chef! I try to make meals I can use twice. 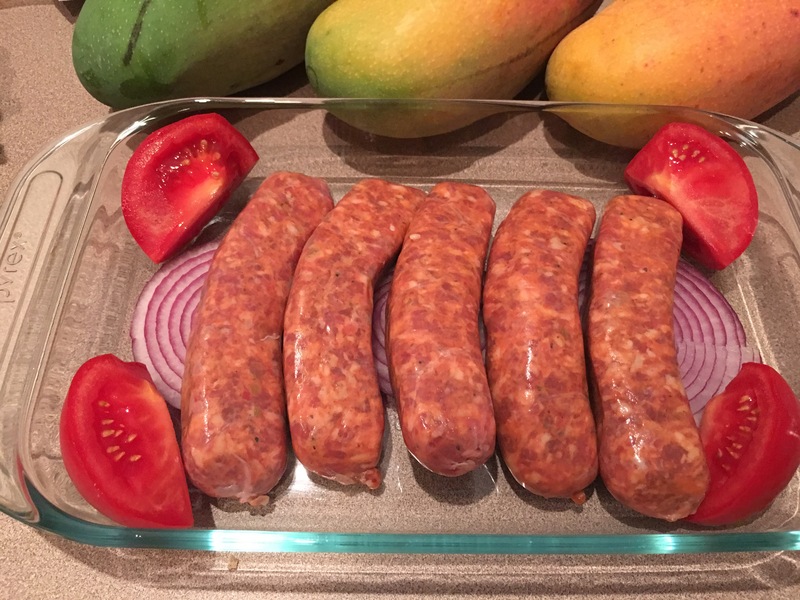 Going to try a store made sausage and eat it as an appetizer today and fajitas tomorrow. Start by preheating the oven to 400. 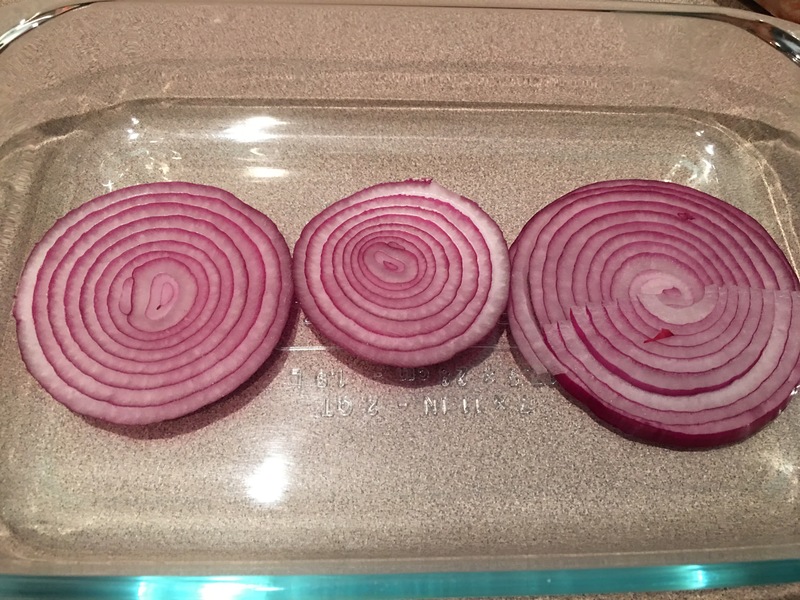 Then add some onion at the bottom of the pan. 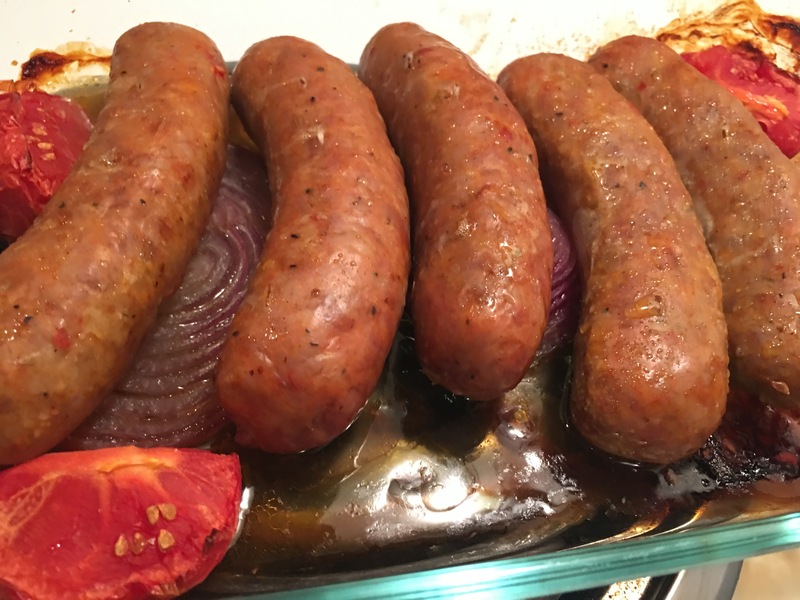 I used a hot Italian sausage because I like the spice. I added a tomato just because it was about to spoil. I pierced the skin of these before cooking so they wouldn’t burst. I also roasted a spaghetti squash by cutting it in half, adding a little oil and roast for about 30-60 minutes depending on the size. Just season it with s, p, cayenne. You can also microwave it much faster. Next Post Baked chicken with hasselback potatoes and spaghetti squash.